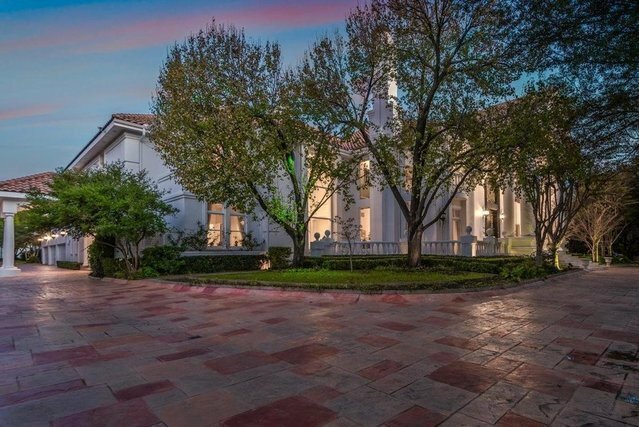 This stunning Preston Hollow Palace is truly extraordinary. Situated on an over sized 1.522 acre lot in the heart of Dallas this magnificent mediterranean home comes complete with a detached guest quarters, full sized basketball/tennis court, gorgeous pool and hot tub, resort like water features, and a 6 car air conditioned garage. Exquisite architectural detail can be found around every corner of this 3 story mansion. Built for those who love to entertain, the 32 foot ceilings flow from its grand entry into its cathedral-like living room. Equipped with a state of the art AMX home automation system, control the entire house with the click of a button. For the work-a-holics and book worms, engulf yourself in the magical two story study that feels like it was taken straight from Beauty and the Beast. A once in a lifetime opportunity to own one of Dallas' most prestigious estates.